4 Bedroom House For Sale in London for Asking Price £1,250,000. Set over four floors, the spacious accommodation has been designed with family life in mind. From the lively commune of the open plan kitchen dining area to the luxurious escape of the master bedroom suite and the relaxing ambiance of the roof terrace, every space has been created to enable you to live your best life. 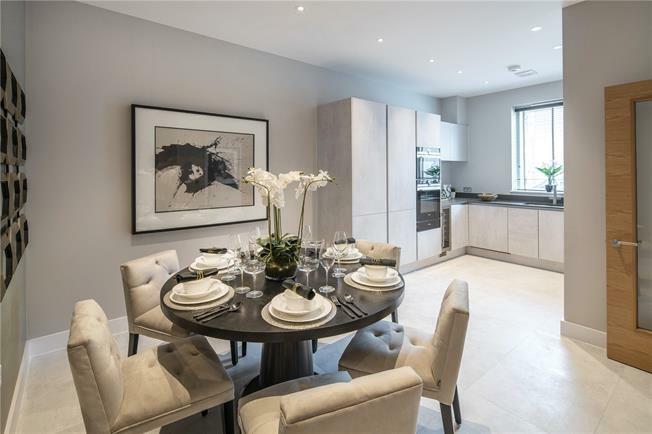 Situated just off Kensal Rise’s revered Chamberlayne Road, King’s Holt Terrace is an immaculately designed collection of 15 contemporary four bedroom townhouses, each with its own private garage to the rear. Part of a wider redevelopment of the Moberly Sports Centre, this multi-million pound complex and its fitness and spa facilities will be on your doorstep.